Chasing Stars | Life is always good. Pouring the cream! 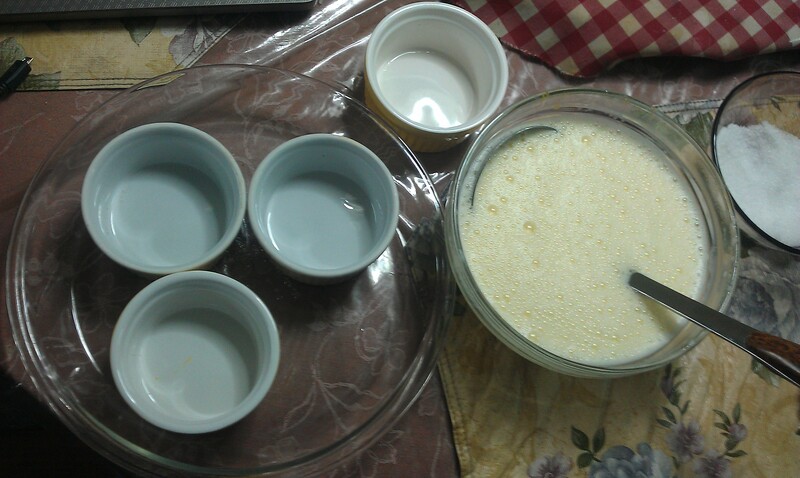 I'm currently trying to make my first batch of Creme Brulee. Oh god. Is it going to be good?! I’ve bought a Penpen plushie when I was in Tokyo and I put it on my desk. Awww. 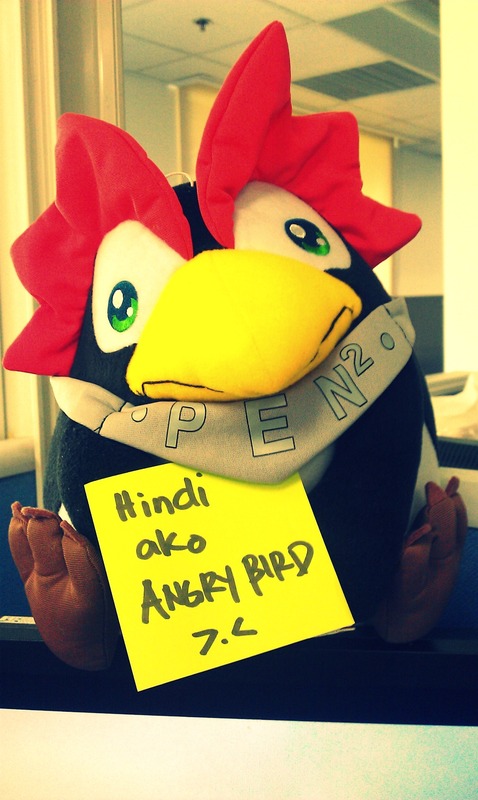 :( Di po siya Angry Bird! Yan ang isa sa madalas ko naririnig pag naglalakad ako pauwi. Pag pauwi ako, I walk from the MRT taft station until sa kanto ng Cuevas Bakery. So, sa araw-araw at gabi-gabi ba naman na nilalakad ko yan, hindi maiiwasan na mamukaan ko na ang mga tao na madalas andun. At ang mga lugar sa Pasay City along EDSA ay … well, alam niyo na. Siguro may apat na beerhouses at isang motel akong nadadaanan palagi. Gabi-gabi, nakikita ko sila sa mga kanya-kanya nilang mga pwesto. Naririnig ko palagi ang mga conversations nila – amongst themselves at sa mga potential customers nila. Nagbibigay lang sila ng mga presyo sa mga dumadaan na mga lalaki. Tapos mag aantay lang sila sa mga upuan sa may tapat ng kani-kanilang mga beerhouses, nakadisplay at ready na bilin pag sila ang napili. Feel like a fish out of water pag a few days before sweldo? 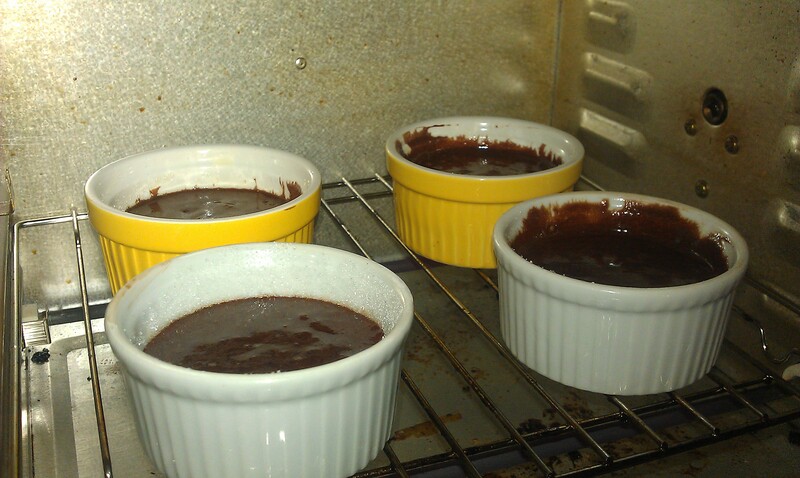 The first attempt at baking Chocolate Soufflé is all because I want to cheer up a dear friend. I was originally planning to make Crème brûlée, but I was requested otherwise. Soufflé is a kind of dessert that is not to be underestimated. Today I just found out that beating the egg whites and the yolks separately can be a dreadful process. Well, if you don’t have an electric mixer. I don’t have one so my arms really hurt! When beaten thoroughly, the egg white foams up and the yellow yolk pales. Wonderful! They looked very familiar. Every batter looks like the brownies batter. After 25 minutes, I came back and checked what’s going on with my little lovelies. 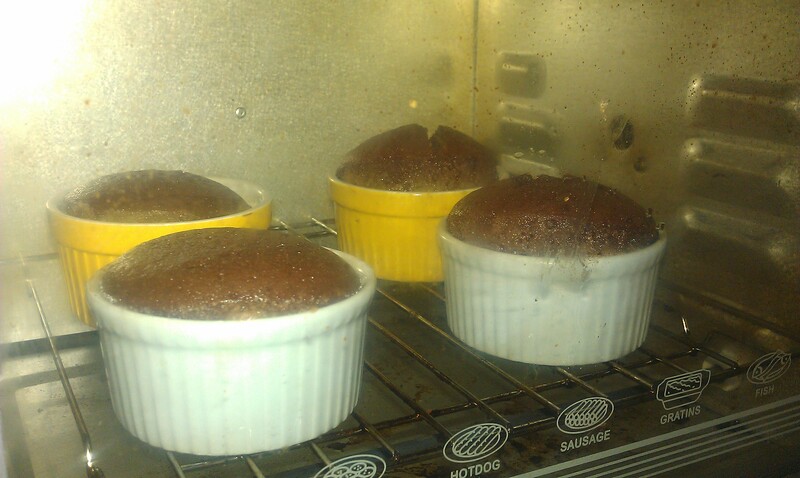 It was just like in the cartoons where you’d see a baking cake rise up, only to fall again if you open the oven and cold air comes in. 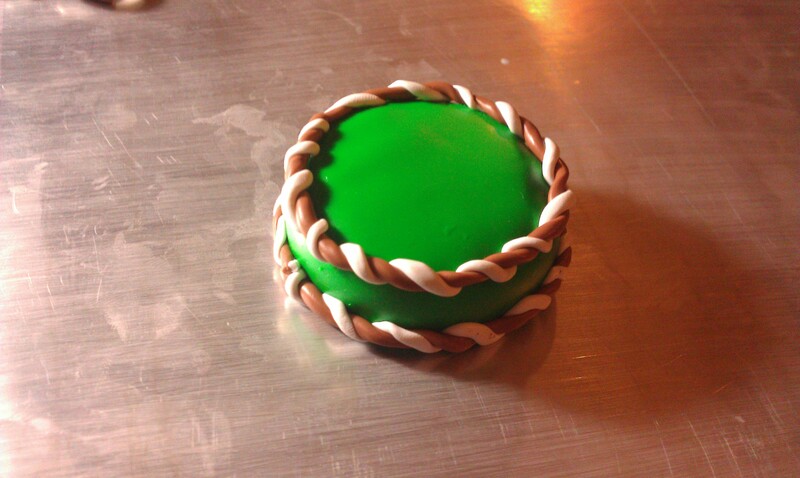 After the oven timer went off, I waited a few more minutes before taking it out. 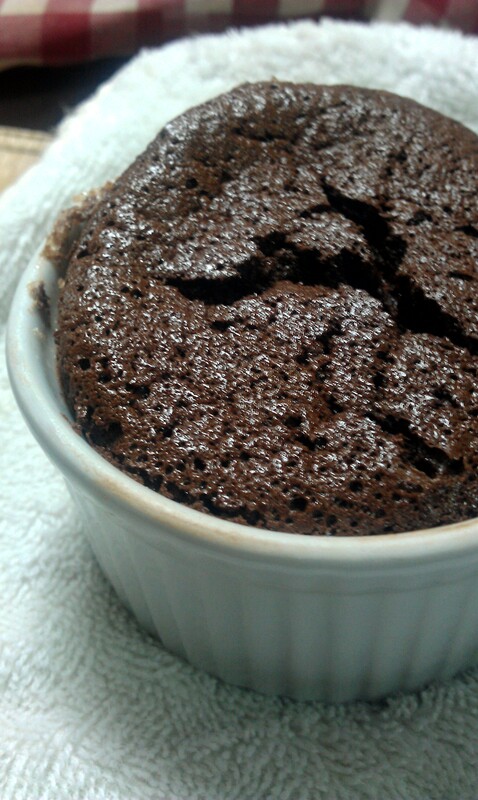 It’s difficult to keep the shape of the Soufflé. On my first try, I wasn’t able to keep up this risen shape. :( I have yet to find out techniques for that. 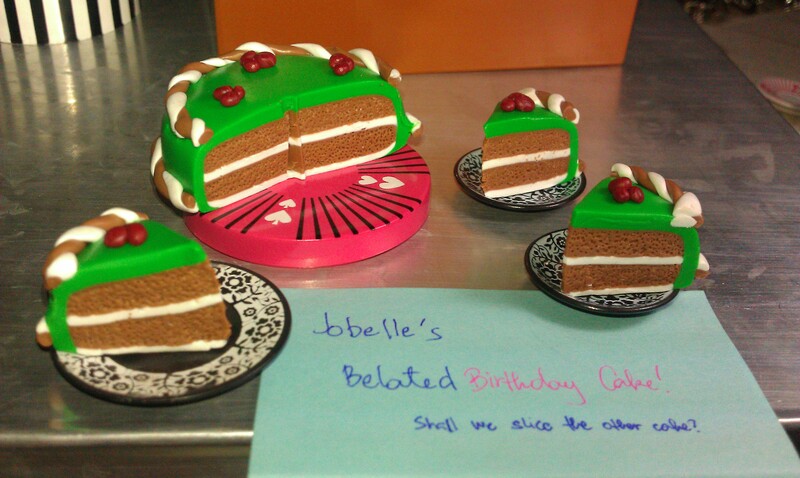 Anyway, after letting it cool for a bit, here it is. GODAMMIT!! Ang ganda ng THOR! Shetz! 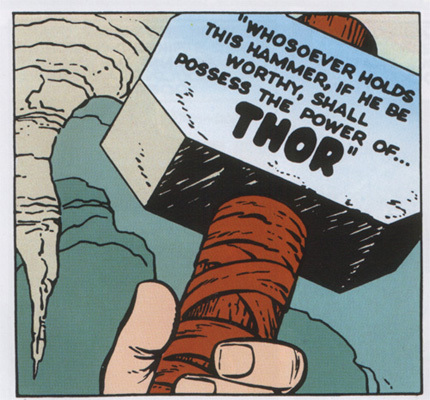 The Mjolnir - "Whosoever holds this hammer, if he be worthy, shall possess the power of Thor." OK – Now Captain America na lang, and then The Avengers na. “THORoughly” was coined by Jenny-chan ;) Brilliant, I say. It rained suddenly again today. I have to remember to start bringing a small foldable umbrella from now on. Getting caught in a rain is not so much *fun* when you’re alone. Hehe. 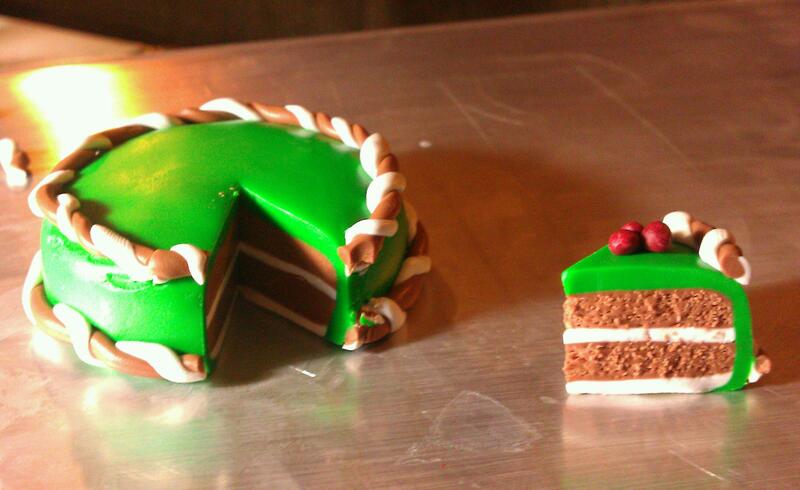 Here are the three slices I made. 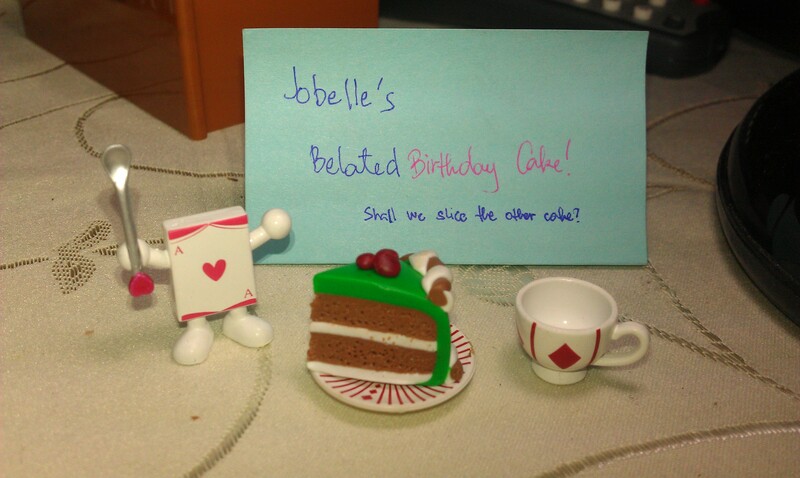 I plan to put eyepins at the back of it and make it into a cellphone charm or keychain.